Tired of looking for love Amy Anderson decides that an astrological dating agency is the only way she is going to meet the man of her dreams. 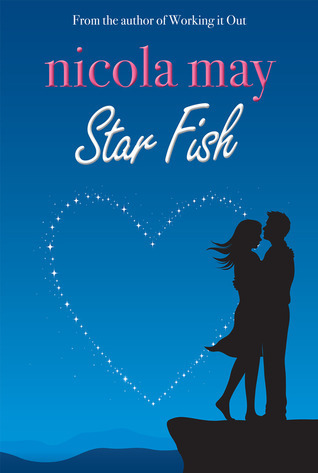 Star Fish follows Amy’s hysterical search for her ‘sole mate’ as she dates her way through the twelve signs of the zodiac. So who will finally woo Amy? Will it be Ted the Arian photographer with a passion for ice skating, or maybe Laurence, the Libran IT whiz kid who likes to get behind the wheel of a fast car? Or, how about Capricorn Christopher, the owner of Starr & Son, the dating agency? You’ll be kept guessing until the very last page! I loved the idea of this book. A woman using a dating agency to date her way through all the signs of the zodiac. Firstly, I thought it was a totally novel idea, not a major fan of star signs myself, but a really good way to narrow down the massive amounts of same old dating profiles out there. Secondly, I am totally on board with any kind of books that revolves around Internet dating or a dating agency, it's a minefield of bad dates out there, if there can be humour found amongst that minefield, I am all for hearing about it! I have to admit that I want a major fan of the main character in this book. I disliked her impatience and her indecision. At some points in the book, she didn't give the men even half a chance to impress her, and yet in other points in the book, she was completely blind to the fact she was being taken for a ride. Well either that, or she could see she was being manipulated and just carried on regardless because, well, at least she had a date! I know it can be tempting to grasp on to any shred of positivity when you are in that dating minefield, but I really wanted to take Amy and ask her what on earth she was doing either dismissing this man too soon, or dating him for far too long. Perhaps though, this was the reason that I fond this book so involving, you can't not be engaged with a character and want to jump into a book and give her a stern talking to. I really enjoy Nicola May's writing style. She doesn't go into unnecessary details about characters or settings and really gets into the storyline in a light and breezy way. The tales in this novel were highly amusing at points, if a little frustrating at times. It was quite a short novel, a very quick read, and some extra time spent on certain story lines wouldn't have damaged the book at all. This, however, is my only criticism, and a desire for more writing, more storyline, can't be bad can it? I thin that anyone who is single or has ever been involved in this kind of dating, whether it be through an agency, online, or set ups from friends, will totally appreciate the stories within this novel. It was really quick read and so perfect for those choosing their holiday reading. The writing style is easy, and it is full of amusing quirky characters. Whether you like Amy or not, you cannot be helped from getting involved in her story and her quest for her true astrological match! This does sound pretty fun, and I do like that she dates her way through the 12 zodiac signs. That certainly gives an interesting twist to the story!